My watercolor classes are working hard these days. It is HOT and the beach is calling. 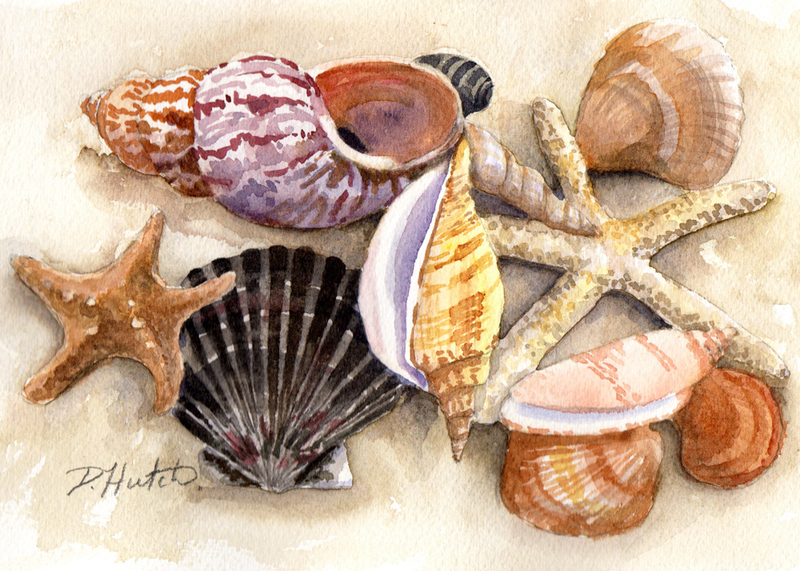 We recently had a good time painting some shells. 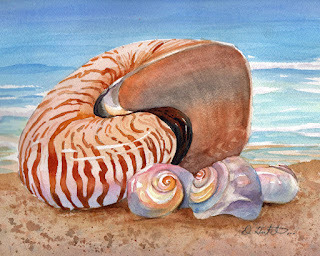 I will be posting my finished paintings on Daily Paintworks tomorrow. Take A look. 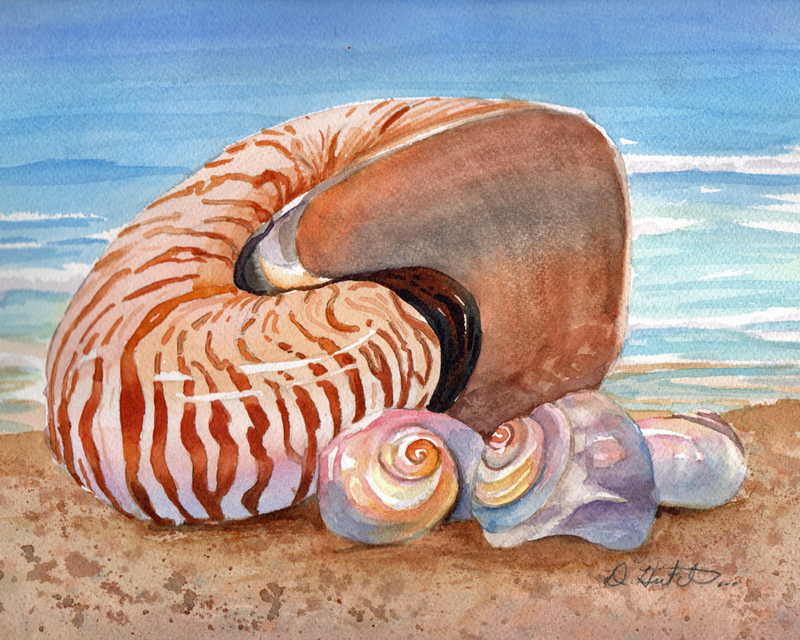 Chambered Nautilus, Watercolor 8 x 10 image size, matted to fit a standard 11 x 14 frame. A lovely bunch of shells. 6 x 8 1/2 image size, matted to fit a standard 9 x 12 frame.